Nearly everyone I’ve spoken to about coming to play walking football already have a picture in their head. It’s usually an image of old men shuffling along at slow speed, old duffers miskicking the ball and having to stop for a blast from the oxygen tank. Because of this image, they usually say “I’m too young for that” (bear in mind that these people are 50 or over). Well, I can confirm that the image they have is utter nonsense, it’s actually a very hard game to play. It can also be very physically demanding. The passing has to be more precise, and keeping yourself from running is harder than you think. Much like any other sport, you get out what you put in. 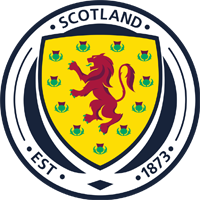 We have players of all standards and ability at the club, ex pro, ex junior and the ex Saturday and Sunday amateur players. We also have players who stopped playing due to injury. The one thing they all have in common is that they all come back. If you fancy giving it go, get in touch. We don’t want you to come and watch, we want you to come and play. Give it a go, you’ve nothing to lose (except maybe a few pounds). Who’s for an away fixture? A team in Dundee are looking for a game. I’ve emailed him outlining our “non-contact” game and asked him to reply if still interested. I don’t know the set-up yet but who’d be interested in travelling to Dundee to play? 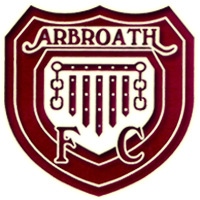 We have been invited along Play at Arbroath FCs Scottish cup tie against Berwick Rangers on Saturday 18th November. Our opposition will be Carnoustie, last time we met at Gayfield it was 0-0. 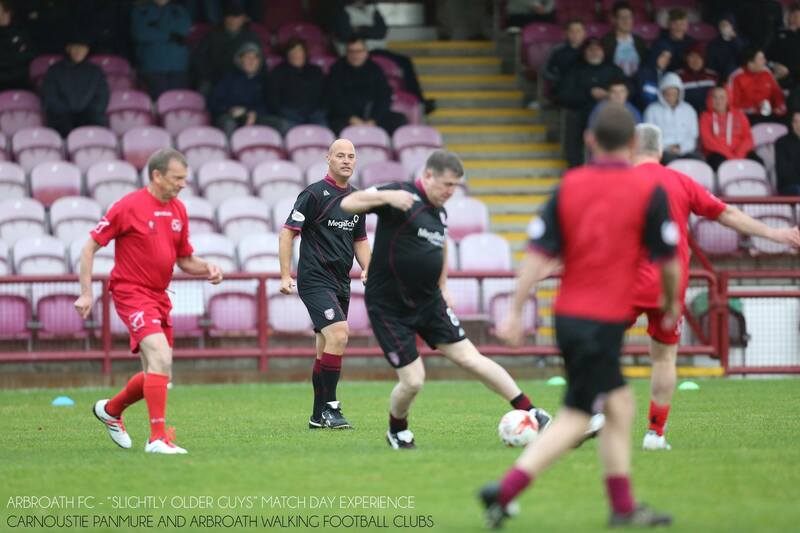 Once again, this is an advert for walking football. let’s put on a good show and show people that it’s not a group of old men shuffling along at 2 mph, struggling to catch a breath. You get out what you put in, and it can be a bloody hard game to play. 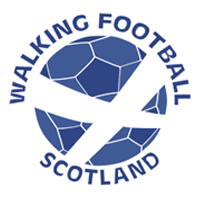 All the information for the Man City & Kingsmaid Walking Football Europa Cup in Cambrils Spain 19th April – 23rd & 24th April 2018 is now available on their website. Remember that you can enter as an individual and join a ‘rest of Europe’ team, or a ‘rest of UK’ team. This is great for clubs like ourselves who are not entering a team. If you are interested, I would suggest booking your flight as early as possible. Return flights are currently sitting at circa £100. So far, we have 2 players going. No update to the scorers table this week, someone accidentally rubbed the scores out on the scoreboard. Please remember that our night out is next Saturday (Saturday 21st October) It’s at Beat Generator in Dundee to see Bootleg Blondie. We are meeeting at the train station at 7.00pm to catch the 7.15 train. Partners are more than welcome to come along.